San Diego Kung Fu: JING Institute is the only China-certified San Diego Kung Fu, Wushu, and Tai Chi Academy – the friendliest, most powerful, and “most beautiful” San Diego Chinese Kung Fu school you will ever find. In San Diego Kung Fu skill, no other school can compete to give you the Kung Fu, Bagua, Hsing I, & Taiji with quality that can qualify you to the World Wushu Championships & the 2008 Olympics. JING also provides one of the best and most natural Healing Arts: Tai Chi. 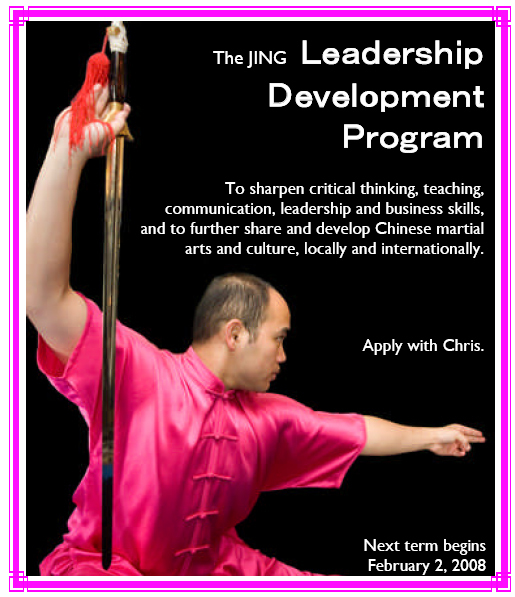 JING Institute of Chinese Martial Arts And Culture is the ONE AND ONLY ONE in San Diego.